The gift of organ and tissue donation is an act of quiet heroism offering hope to so many people. The memory of your loved one will forever be treasured. This section of our website is to honor the memories and precious gift of life. 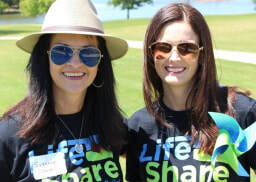 If your loved one was a hero for donation and you would like to share their story of hope, please feel free to send the story of your hero and a photo to LifeShare-Marketing@LifeShareOK.org. 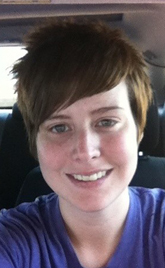 In June 2012, Cynthia saw a post of a single mother in need of a kidney transplant. She responded and begun the paperwork and testing to generously help another person. 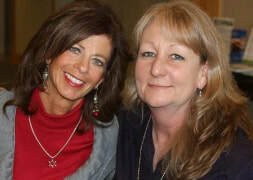 During the process, the person in need of a kidney had a friend who was a match. ​Milton grew up athletic, but one day without warning he started losing weight and dropped 65 pounds very quickly. ​Two families bonded together by the heart of a teenage baseball player carry on Brendon McLarty’s legacy by embracing what he cared about. 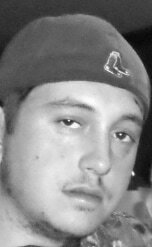 Friends and family of the teen will walk in the Oklahoma City Memorial marathon this year, not only remembering the lives lost in the 1995 bombing, but also to celebrate the life of a young organ donor who passed away in 2012. The recipient of his heart will cheer them on from afar. 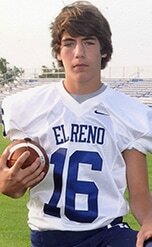 Brendon McLarty was an all-American 16 year old boy who had a passion for sports. 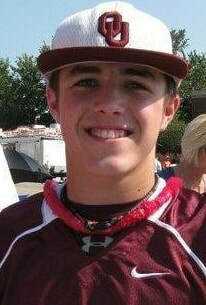 He was a Perry Maroon through and through, and enjoyed playing football and baseball for Perry High School. He played sports with determination, passion and focus – and inspired his fellow teammates to play the best they could. Sandy Pekrul, of Enid, Okla., had a huge heart – she would act on an impulse of kindness to make sure everyone she cared for knew they were loved by her – and would spoil her friends and family with every chance she had. She could always be found wearing a smile and flashing her beautiful blue eyes. She enjoyed helping with community events and loved volunteering her time to help others. She loved the church and singing in her church choir every Sunday. Sandy adored her yellow lab puppy, Lucy, and went on walks around the neighborhood often. ​Dylan came flying into this world a month earlier than expected on September 15, 1994. He was a calm baby, content to play on his own and watch the world around him. Little did we know that was only the calm before the storm, as soon as his feet hit the floor he was off and running! He barreled through his 22 years, living his life out loud and on his own terms. ​Childhood observation and a generous heart saved one Oklahoma woman’s life thirty six years after the two had lost connection. Belinda Ball, of Tulsa, Okla., was born with a kidney defect and at just three years old, she underwent surgeries to fix them. She grew up with frequent medical problems, including infections. When Belinda was in the third grade, her friend Claudia noticed her struggle. Even at such a young age she wanted to help, and remembered watching Belinda’s struggle throughout her adult life. A father, George Schroeder, of Norman, shares an inseparable bond with his now eight year old son, Christopher. Together, they watch sports and play basketball or wrestle one another to the floor. In 2009 when Christopher was born with a heart condition, the doctors originally thought he would just need a series of three surgeries to repair his heart. However, they learned Christopher would need a heart transplant to survive. At just seven weeks old, he received a new heart from a selfless and generous donor – saving his life. Over the loud speakers during his weekly football games, spectators would hear praises of Sam Akin without a doubt. “Touchdown by #20 Sam Akin, running back for the Plainsmen”, or “55 yard run by Sam Akin”. Sam Akin from Enid, Okla., had a love for life like no one else – and lived every day to the fullest. 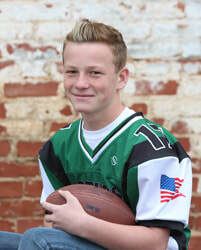 He loved to be outside and would often ride his scooter or skateboard until the sun went down – but nothing made Sam happier than football. ​Suzanne, of Tulsa, Okla., was shocked to hear the news that her 21-year-old daughter, Tiffany, a float rider, was in acute kidney failure after she had just given birth to her first child. As Suzanne tried to help her daughter navigate such devastating news, they tackled every doctor’s visit with a positive attitude. When she learned her daughter would need a kidney transplant to survive, Suzanne volunteered her own without hesitation or fear. 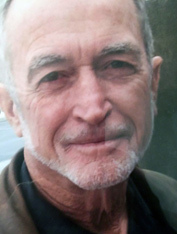 ​He enjoyed fishing and had a passion to pursue welding. Chris often went out of his way to make others smile. He was always thinking of ways to change the world and was able to change the world of two people through organ donation. ​Bob showed generosity in every area of his life, including volunteering with his local fire department or helping widows with chores around their house. After suffering a heart attack, it was no surprise to Bob’s family that he planned to be generous by having the little red heart on his license. 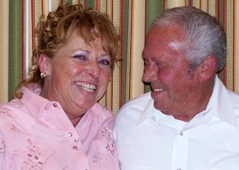 As a final legacy, Bob was able to give life by becoming an organ donor. ​Vic loved the great outdoors and was a great dad to both of his children. 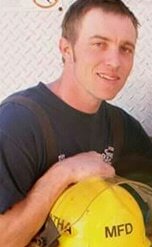 He had a big heart and dedicated his life to helping others, including becoming a volunteer fire fighter. 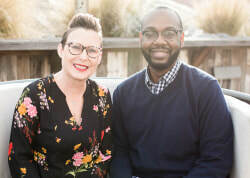 After his death, his wife knew he would still try to help someone to this day if he was able – and he did just that by becoming a tissue donor. ​Isaiah loved the great outdoors and playing his guitar. His infectious personality was warming as he always had a smile on his face that would light up a room and enjoyed making everyone around him laugh. Isaiah was known by his friends and family as loving and caring, and he demonstrated that through his final act of kindness by becoming an organ donor. 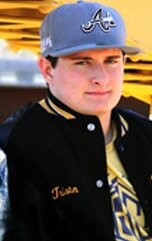 Twenty-year-old Triston Paris of Caddo, Okla., as compassionate, dependable and cared about small acts of kindness like holding the door open or caring for a young child. He had a smile that could brighten up a room. At first, he might have been considered shy, but he quickly became the center of everyone’s attention. His family knew they were loved by Triston, and knew it not only through his warm hugs and kind words but also by his actions. He would spend a day fishing at the lake just to surprise his family with a fish fry that evening. He was becoming so great of a cook his friends would often come over and join the family dinner. Karson, of El Reno, Okla., was born a fighter. He and his twin brother, Keller, were born three months premature, weighing only two pounds and 14 ounces, and were in the Neonatal Intensive Care Unit (NICU) for 72 days. Doctors and specialists warned Brad and Stephenie Baker, the twins’ parents, that the pair would most likely face delays as they grew. By nine months old, Karson was determined to catch up with the development of other babies his age. His brother, Keller, was also a fighter but did not overcome his premature birth without a diagnosis of cerebral palsy. ​Stacy Hadley grew up an athlete. A team mentality was instilled in her as she played softball and basketball in her teenage years. She worked for the good of the team both in athletics as well as her everyday life. Stacy enjoyed spending time on the lake with her friends and family. Often, you would catch her skiing and wakeboarding behind a boat and soaking in the rays of the summer sun. ​She willingly helped when her hand was needed on her father’s ranch. Feeding and moving animals as well as appreciating the great outdoors was a part of her routine. She enjoyed riding the horses, especially her own horse. Faye was a loving and devoted mother and grandmother. She loved to laugh and always had a sparkle in her eye. Faye spent many years of her life delivering emergency communications to the members of the Armed Forces. Generosity wasa part of her life, so it was no surprise she was a registered organ donor. Michael was a country boy through and through. 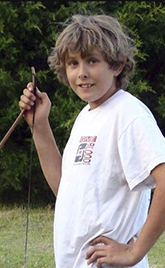 Our son wore his Wrangler jeans everywhere, and loved to go fishing anywhere he could get a hook in the water. He enjoyed basketball and baseball, but for him it was more about being with friends. ​​Our son, Patrick, was a caring and compassionate young man. 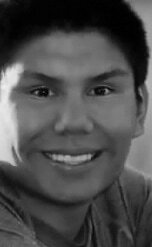 He loved to fish and hunt, enjoyed construction work and was considering a career in graphic design. Patrick smoked ribs and grilled steaks outdoors and liked to cook for us. We were thrilled when he fell in love with a very special young lady. McKaya was a little firecracker. She was joy, humor and laughter. She was the most wonderful daughter and little sister to her two big brothers. LifeShare was a huge source of comfort for our family during and after McKaya’s accident. 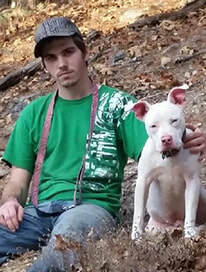 ​Dakota was a fearless, outgoing boy who enjoyed cracking jokes and being the center of attention. His goal in life was to become a veterinarian so that he could rescue animals. He had a love for superheroes, especially the Hulk, and enjoyed collecting rare Marvel action figures. Dakota, a hero himself, saved several lives through the gift of organ donation. Ellis lived a full life. He fished, hunted, played golf, taught science, was a chess instructor and did taxes for his friends free of charge. He was a Christian and a great husband, father, son and brother. My brother Ellis and I grew up together and were best friends. We talked to each other almost every day on the phone. His death was a shock to all who knew and loved him. Being such a loving and giving person, it stood to reason that he would continue that legacy in death. God blessed our family with Ellis and he continues to bless us through the man he saved. ​Julie Mouse had a passion for her family and enjoyed every moment she could with them. She enjoyed spending time outside, swimming, giggling and telling stories around a campfire. Julie loved to bake treats for her friends and family and cherished activities with her church. 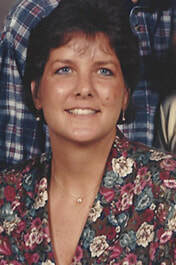 When Cheryl’s daughter died after a tragic car accident, Cheryl and her family chose organ and tissue donation for her. Her healthy heart saved the life of a family acquaintance. Years later, Cheryl met another donor mom, Stephanie. Cody was a thoughtful and kind young man. When he applied for his driver’s license, he and his mother talked about the significance of being an organ donor. He knew the importance of donation because a donated kidney saved the life of his grandmother 20 years earlier. Two families bonded together by the heart of a teenage baseball player carry on Brendon McLarty’s legacy by embracing what he cared about. Paul Castner gave the gift of life at age 82 so that someone else could live. In turn, he also gave his family the gift of healing. When many don’t think they have much left to give after living a long and healthy life, Castner of Mangum, Okla., donated his organs. “Organ donation doesn’t have a specific face. 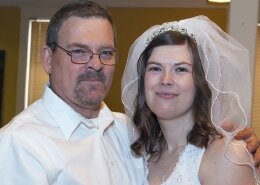 I never thought my 82-year old father would be a face of organ donation,” Eric Castner said. Whether Hance was skydiving in Tulsa, Okla., or longboarding down a hill in Salt Lake City, Utah, he had a zest for adventure! Growing up, he was very active and constantly on the go, his family remembers Hance having more spirit in his life than his body could contain. Hance loved the great outdoors and had an unforgettable spirit. 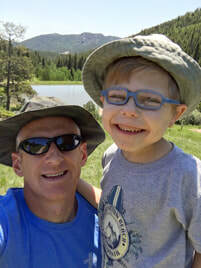 Through pursuing some of his favorite activities like rock climbing, camping, scuba diving, biking and running he saw some of the most beautiful wonders of the world. On October 6, 2009, we lost our daughter Mariee from brain injuries caused in a motorcycle accident. Mariee had a little red heart on her drivers license signifying that she was an Organ Donor, all we had to do was follow her wish. I am thankful to LifeShare for all their compassion and understanding, throughout this journey they maintained our daughter’s dignity and granted my wish to walk my daughter to the surgery room, place my hand over her heart, feel it rise & fall, kiss her warm soft hand and say goodbye. It will be six years since we lost our daughter and LifeShare continues to be there for us to this day. "On the night of my son's ATV accident which tragically killed upon impact, I asked the nurse if Jayce could be a donor. The answer was YES! I was not familiar with Life Share of Oklahoma who handled the process but quickly became a big supporter of their organization. While everyone goes on with life and families are still grieving, Life Share continually mentored me through this painful time. They truly care about the donor families. I can honestly say that I believe Life Share of Oklahoma actually saved my life through the loss of my son with all of their events and activities I still attend ten years later." “I’m just a good ol’ southern boy . . . I love my family and God . . . I like to hang out with my friends . . . I like ridin’ horses, fishing, camping, pretty much anything outdoors . . . I like being at the family ranch, helping run it and workin’ cattle. I’m currently a student at Oklahoma State University and I’m majoring in Animal Science.” This is what Ted wrote about himself in his Facebook bio. Ted’s Facebook page has been filled with comments from his friends nearly every single day in the year since his death. They miss his bear hugs, they miss his talks, his heart of gold, his good ol’ advice, his two-step, his smile, the list just goes on and on. Ted brought joy to everyone around him. He was a much-loved young Cowboy – both an OSU Cowboy and a 'real' cowboy. Brent died instantly in a car accident before we could see him graduate from high school. To be so young and so vibrant, we couldn’t let that go to waste. We decided to donate whatever could be used. Gary was born on Christmas Day, he was the best gift a mom could receive. He was kindhearted and always put others' needs first. He was always making his mother laugh and referred to her as his #1. Kelley Chase was an all-American guy. At a young age, he requested to attend the New Mexico Military Institute so he could follow in the footsteps of his grandfather who was a B17 pilot. It is very difficult to get accepted into this prestigious institute, but Kelley was a great student and became a very active member of the school. Besides participating in the band, he joined a ski club as an extracurricular activity. Kelley was the person everyone wanted to be friends with and when he made friends those people would become his lifelong friends. 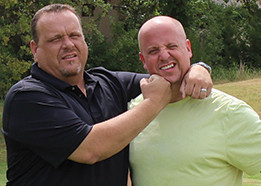 Kelley was very committed to his goals and graduated from the New Mexico Military Institute in 1992. Aidan had a way about him. He had a way of creating adventure out of everything he did. He wanted to do EVERYTHING and was fully intent on achieving that goal. Kittrick "Kit" was truly a blessing in our lives. For those of us that knew him best, he brought so much joy and love into our lives. Kit loved life. He enjoyed B.M.X. biking and skateboarding; he could work Craig's list like no one's business! He also had a passion for motorcycles. Our Mother is truly a loving, kindhearted, religious and hardworking person who would never give up when it comes to her children. She faced a lot of challenges in her life to bring us to the highest point in the society that she could think of. She was such an angel who always cared for others even when she had her own difficulties.